Owners of the Nissan Rogue continue to complaint about persistent air-conditioning problems. Owners may be entitled to compensation or other relief. Carguru’s features a page regarding the problem. 2016 Rogue AC seems to work when it wants to. I took it in and 2.5 hours waiting in the service department they said they replaced a switch. A week later it again stopped work. The air just is not very cold and 81 degrees outside we ended up just rolling the windows down. To the repair shop again on Monday (but of course it’s working now). The air conditioning in my 2016 Nissan Rogue wasn’t working and then began working. I have the same problem. The dealership can’t duplicate the problem while it is at the shop. I’m under warranty but they won’t replace anything unless they see the blowers not working. I can’t take the car on long trips or drive it in conditions when the windows might fog up because it is dangerous when it stops working! Are there any technical bulletins out on this? 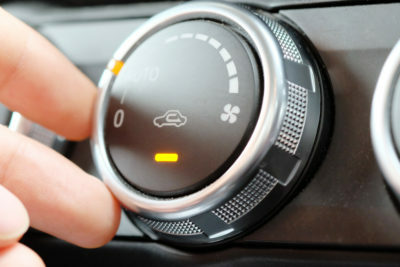 Call for your free consultation on your 2016 Nissan Air Conditioning problem. Cases involving this vehicle are handled on contingency with no payment required from the client. Tags Nissan air conditioning defect, class action, recall, Nissan ac problems. Owner of Mercedes Benz Metris Vans with gas leak or odors may be entitled to new vehicles or compensation. Mazda6 subframe failures will be investigated by the government after 2009-2010 Mazda owners continue to complain about corrosion problems that affect the subframes. The National Highway Traffic Safety Administration (NHTSA) has received 20 complaints about subframe failures that caused drivers trouble when trying to keep the cars under control.Two of those corroded subframe complaints came from 2009 Mazda6 drivers.